While the overall experience appears to be roughly the same for all, this does allow the player some leeway in how they approach the challenges at hand. 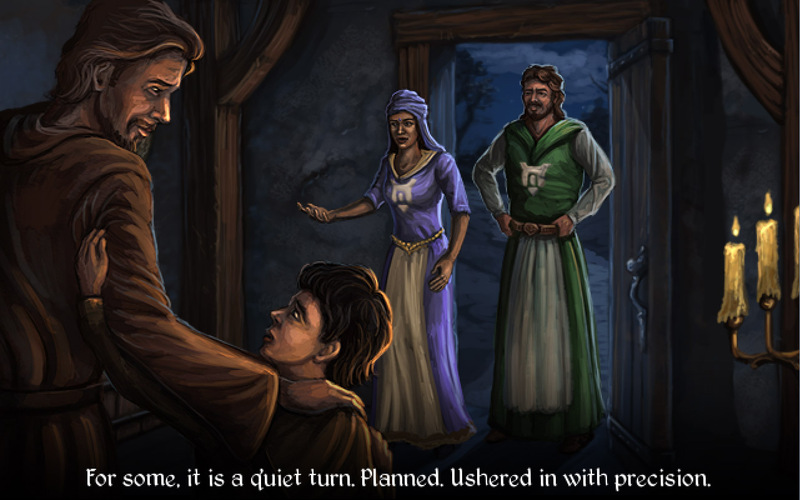 Mage’s Initiation: Reign of the Elements is a game that fits a certain sub-genre, a certain mix within the gestalt of role-playing games, and that is the adventure-RPG. 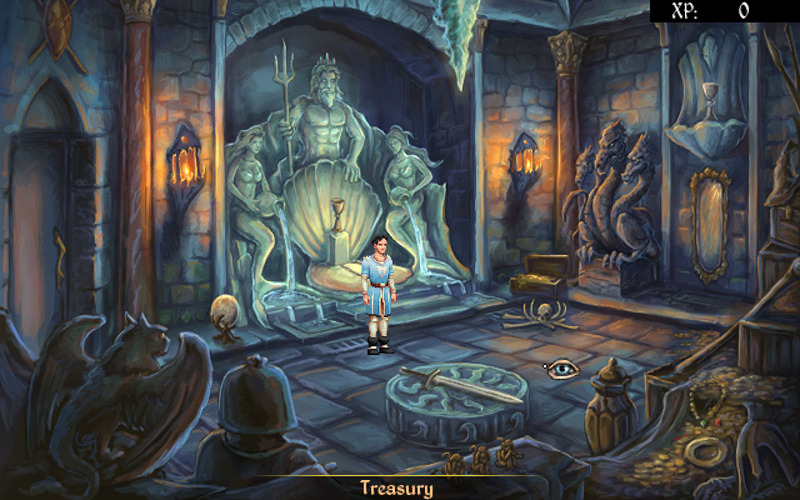 Much like its source of inspiration, the Quest for Glory series, or its modern cousins, there is a balancing act to be found between item use, puzzle-solving, and monster-bashing. The hero of the hour is young D’arc, apprentice magus of the mystic arts in the realm of Ele’Wold, where apostrophes are obviously quite loved. It’s his dream to be a full master of his element, and to do that, he needs to survive his initiation. Three tasks are set before him, to be done within the day but with little other direction. Thankfully, Mage’s Initiation does not have an actual day-night cycle at work, because it will take a lot of walking, talking, and random canoodling to figure out all the stuff D’arc must do to pass the tests. 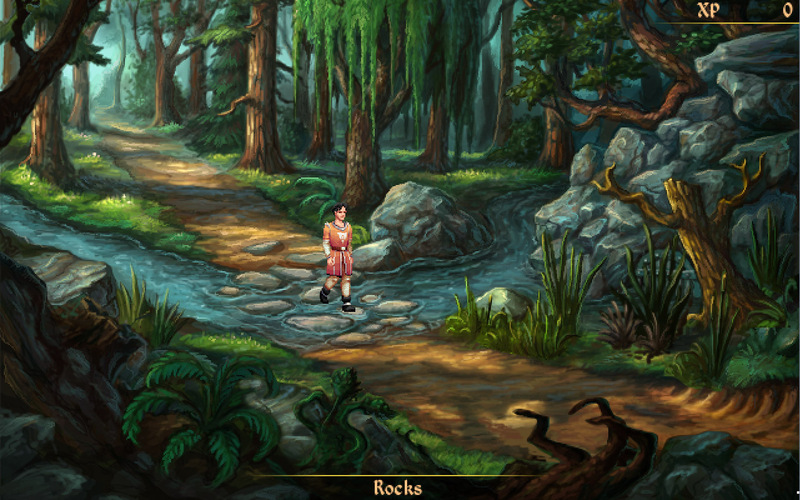 This particular example of the genre puts a high focus on item use in its plot, with the first goal in the titular initiation requiring the player to research and locate several items just to get to the location, and another round of research and item interactions to find a means of getting into the location. It’s not necessarily difficult to manage, as long as one remembers to talk to everything that even looks like it might talk back, but usual rules of game puzzle logic still apply at times. While the hero is always a magic-user, the game will administer a personality test early on to determine just which of the four available elements D’arc will wield, and these have more of an impact on how some puzzles are solved, adding or changing the options in various ways. While the overall experience appears to be roughly the same for all, this does allow the player some leeway in how they approach the challenges at hand. 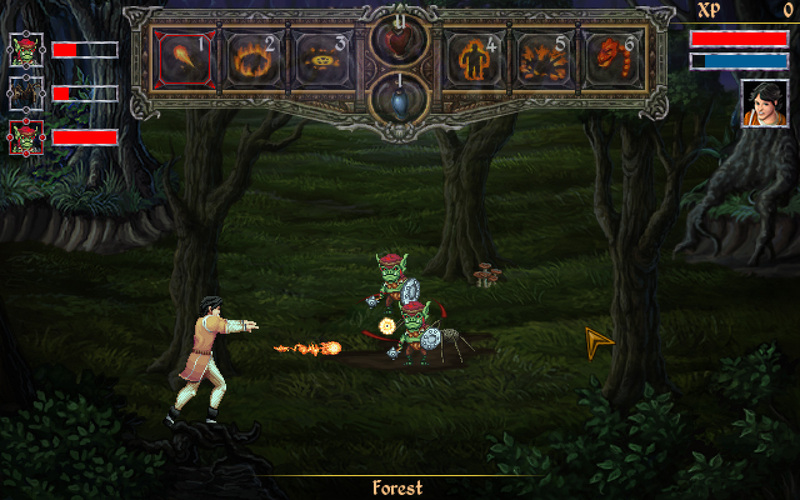 Combat is a bit different from the norm for this genre in that there’s no battle screen. 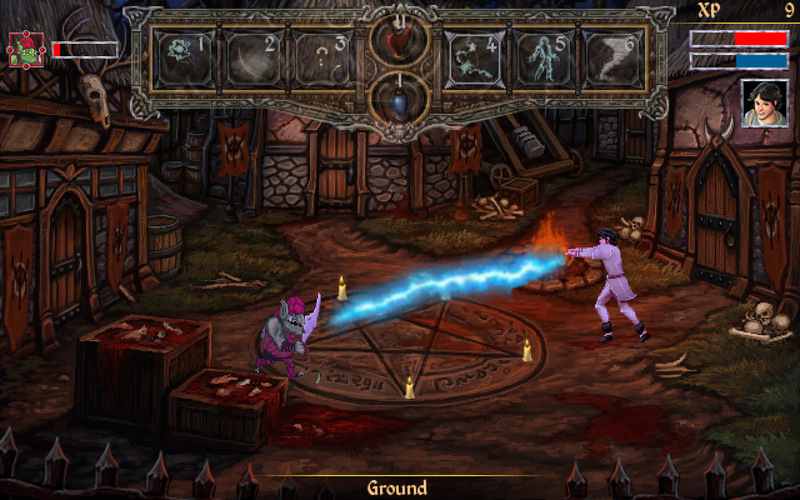 Enemies sometimes just pop up in dangerous areas, and D’arc can try to zap them with spells (fired with the space bar) while running to avoid their swords, claws, fangs, whatever. Injured monsters will even flee off-screen, and can be tracked down as long as they don’t get too far ahead. Likewise, they can chase after a fleeing D’arc. Between the well-crafted SVGA-esque graphics and the ubiquitous voice acting, a lot of art went into the creation of Mage’s Initiation, and it’s turned out to be a solid pick for any gamers jonesing for a trip into the old Sierra style of adventure gaming. It’s sufficiently different from both its antecedents and the genre at large to be memorable, and the more guide-dang-it aspects are, if not downplayed, at least ameliorated by simply talking and applying basic logic. No puzzle is insurmountable, as long as you work at it ̶ which is a big thing to remember with this subgenre.